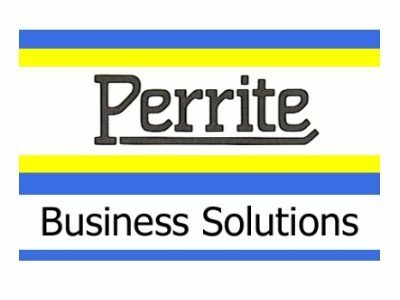 Perrite Business Solutions Ltd has been providing business advice, coaching and mentoring to pre- and new-start businesses, as well as high growth companies in most sectors, since 2001. ‘Hands on’ experience of running and owning an SME has differentiated Perrite from other advisory companies as we have ‘been there and done it’, ourselves and draw on this experience, and can advise companies on how to avoid problems, manage risk, and help them to grow their businesses, and improve their productivity. Perrite was incorporated in 2003 by MD, David Baker, who started his career in manufacturing having had positions in QA, R&D, Technical Service, and Sales & Marketing, before moving into General Management. He was appointed MD of a small group of manufacturing companies in the polymer sector, and following acquisitions was appointed Divisional Chief Executive of a multi- national Plc in the chemicals sector, with full responsibility for 8 manufacturing business producing polymer compounds and mouldings, footwear components, as well as bespoke leather briefcases and luggage. together with 2 high quality retail unit sselling hand-made shoes and high quality briefcases and luggage. After leaving, David then raised venture capital finance and acquired a rubber moulding company and a rubber extrusion company himself, before making an exit in 2001 to become a mentor and advisor. In 2003 he incorporated Perrite, developed the portfolio of services offered, and built a team of approved and certified associates. Undertake thorough market research on both your current market, competitive products, and your competitors. Do not ‘buy market share’ by price discounting, rather sell on superior customer service and innovation, and do not get tempted by looking for export markets, until you have a large market share in the UK. At all times keep an eye on, and manage, cash flow. Develop and invest your staff to improve their technical and leadership and management skills. Lancashire has its roots in manufacturing and there is a base of highly skilled workers available, many with transferable skills. universities and colleges are excellent with many opening new STEM (Science, Technology, Engineering and Maths) facilities, and teaching skills in these areas. In addition a strong position in the Digital & Creative sector brings innovation to Lancashire. Investment in new business parks and infrastructure, means easy travel to the major cities of commerce in the UK as well as Europe and beyond. To compliment this, assistance with advice and funding, through Lancashire County Council, Lancashire LEP and Boost, is readily available to help business grow and develop. Boost is the best vehicle to help Lancashire based business to develop and grow through their many initiatives available. Boost is a ’one-stop- shop’ for business to find out what assistance is available , and to help them through the maze of initiatives when trying to find funding and assistance with innovation. Boost can raise the profile of Lancashire as a place to relocate your business to, with its improving infrastructure and communications links, without having to go to Manchester or Liverpool.